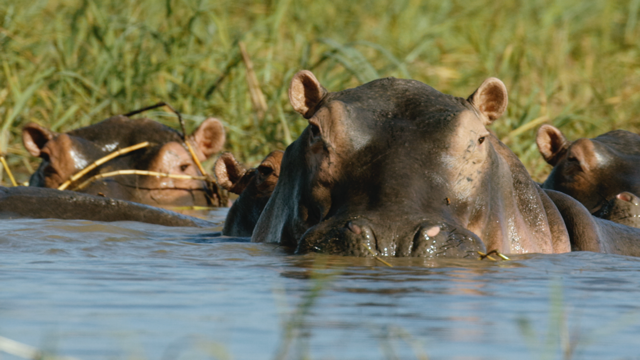 In this episode we saw what is possibly one of Africa’s greatest myths – that hippos are the most dangerous animals in Africa, and take more human lives than any other big game animal on the continent. While there is no doubt that hippo kill some people, the number of deaths attributable to hippo attacks is minimal in comparison to those of crocodiles, elephants and other wild animals. What we learn is that hippo, just like any animal, when pushed into a corner, when put under pressure, will fight back. Because of the massive size of the animal – which weighs several thousand pounds – its retaliation to pressure often has deadly consequences. Ivan Carter begins his journey on a stretch of the Zambezi river, in the headwaters of the man-made lake Caborra Bassa, where the mighty river empties its muddy waters into the lake. He has selected this as a start point for no reason other than there are a lot of people and a lot of hippos, and interactions between the two are many and frequent. Hippos are largely nocturnal animals, leaving the river at night to graze. With villages and people on the riverbank, this of course means that the hippos, on a nightly basis, come into very close proximity to the settlements. Ivan’s first encounter is in just such a village, when he is called out one night. 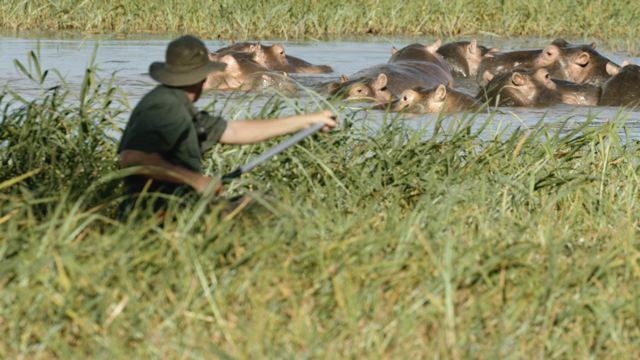 They do indeed see the hippo, which, contrary to exhibiting the rogue behaviorexpected of it, is in fact, just like any other animal – far preferring NOT to interact with humans. Through the episode Ivan Carter examines the lifestyles of the people, where and how they live, and it soon becomes apparent that there are more people on this stretch of river than ever before. 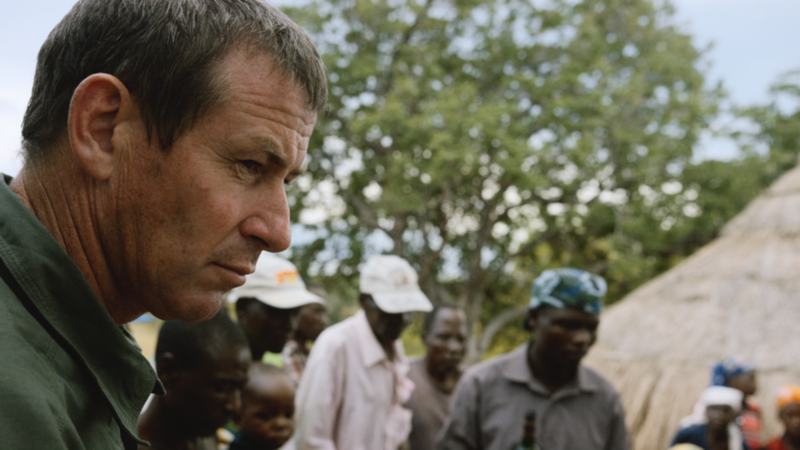 Ivan Carter attends a witch doctors’s funeral, one that is the result of the man himself being killed by a hippo. He meets yet another man who escaped with his life from a gruesome attack. A couple of habituated hippo bulls at SANWILD give Carter the opportunity to interact with the species in their own environment, and, when he returns to the Zambezi river he decides to conduct some dangerous experiments – using himself as bait. 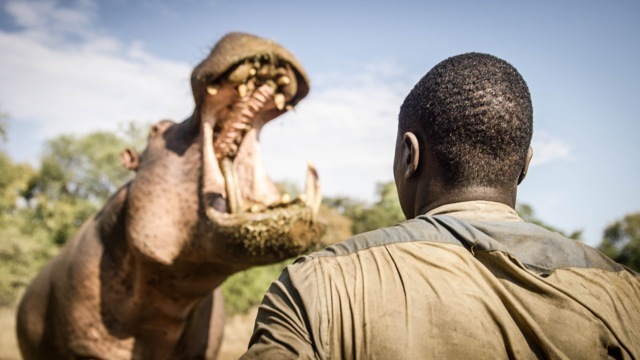 The show reaches a high point as yet another hippo attack gets Carter’s attention - he is called to shoot a hippo. On arrival a mother berates him for not responding sooner. When Carter fails to kill the “offender”, or at least one of the species, she is visibly dismayed. The ending is a sombre moment as Carter leaves the village. A village full of unhappy residents, unhappy that he failed to kill a hippo in spite of their fervent pleas! We learn that the problem is not a hippo one, it is instead, a human problem. There is no easy solution here. Yes very much so! As are the beliefs. That said, the belief that hippo is the most aggressive of all of Africa’s big game animals is far, far from the truth, and the story following Carter’s exploration through this issue is very real indeed. In reality, YES! 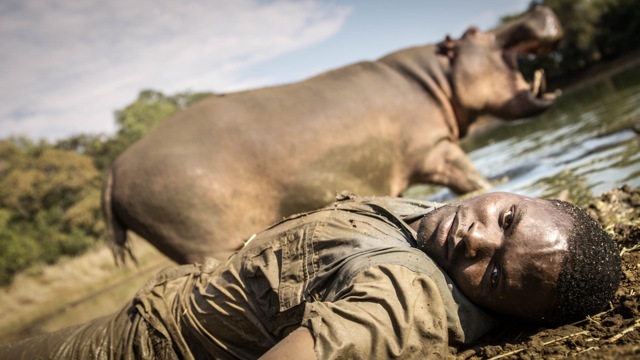 Hippo do kill people, but it’s not because they are more aggressive or confrontational than any other species – their hostility is simply a product of a tough set of circumstances. These are truly the pivotal characters of this story, it’s these people who live mouthful to mouthful, who represent populations throughout Africa – these are the real story. As the human population in Africa literally explodes, the wildlife is getting squeezed. With 11 being the average number of children per family, and with most girls bearing their first child at 14 or 15 years old, the population is expanding at an alarming rate. With no efforts to educate the people on family planning, indeed, this is not an issue that will go away soon. 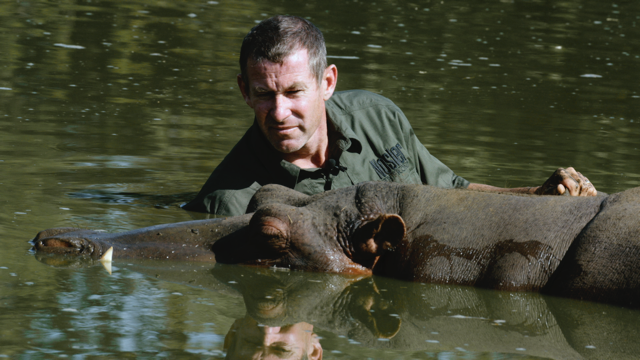 While this is not directly linked to the hippos themselves, the species is certainly a beneficiary of the wildlife protection that Simon works so hard to maintain. If you feel you would like to support this man and the people on the front line there please follow this link.